A quick recap: So here we were in New York for a friend’s birthday and I couldn’t help but capture all the fabulous yummy treats during our trip. I ended the previous post with our visit to Little Italy and how food coma took over despite our attempts to ward it off by walking/shopping/ etc. 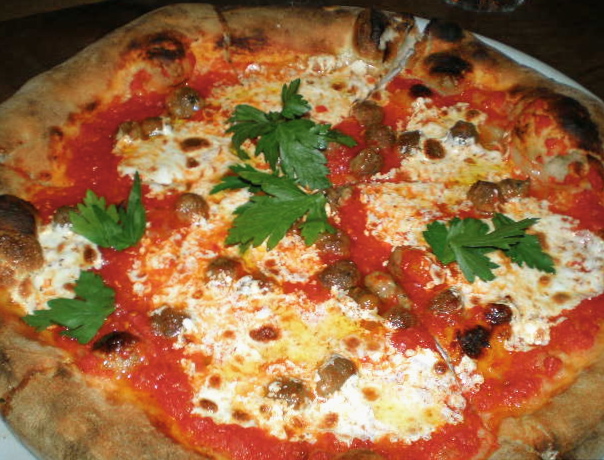 This continuation of NY Eats part 2 starts where we left off, leaving L.Italia. On the way to the train stop, we found ourselves right in the middle of what looked like a small town festival. I’d like to think the sweet smell of funnel cake led us in that direction. What’s a festival without funnel cake? Or coiled sausages frying on a hot counter stove? The vendors were so very nice to oblige a few pics. Again, thank goodness we had eaten lunch beforehand or I may have helped myself to a $10 bratwurst sandwich. Yup. 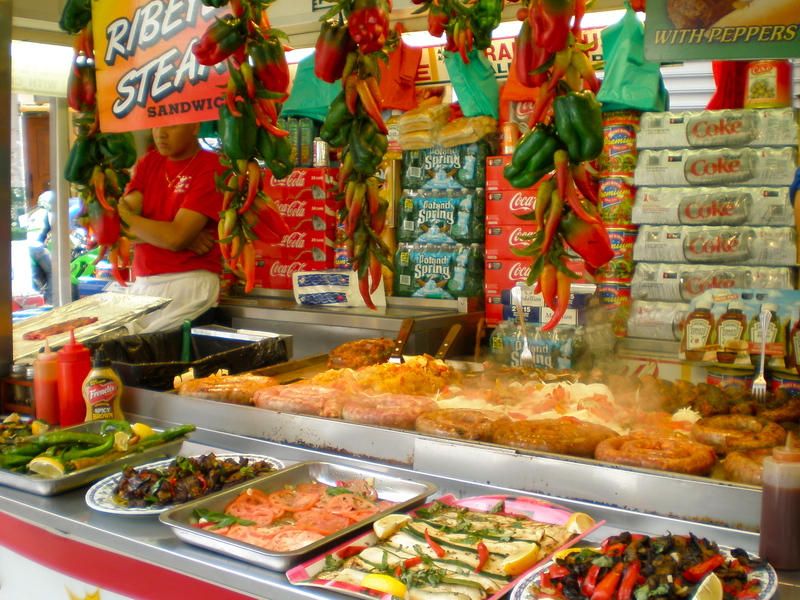 A hungry stomach knows no price. From a distance, I thought these were candies but on closer inspection, they were none other than magnets! How colorful and fun! 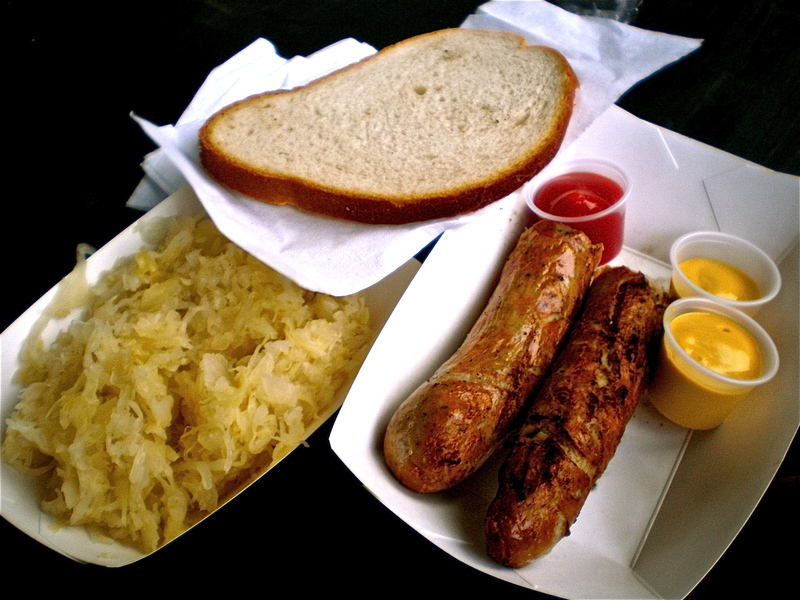 We ordered their brats and saurkraut which came with a slice of bread. The brats were just like any other I’ve had, (which is a good thing!) but ever since I had my first taste of cheesewursts, I can’t seem to go back to plain ol’ brats. Cheesewursts are the way to go! You haven’t lived if you haven’t tried cheesewursts. Their saurkraut was a bit too vinegary for me. I like mine a bit milder and sweeter. Maybe with a good dousing of hot sauce, too. Overall, a great place to unwind after a long day. Quick tip: Bring a sweater and some bug spray if you plan on hanging out well into the wee hours of the morning night. What in the name of deliciousness could this be?! This is happiness at 11 am after a long night of carousing in the streets. For breakfast, some of us had Pancit Palabok and Chicken from the established Filipino fast-food chain, Jolibee. They are better known for their spaghetti and hot dogs so I thought I’d feature something a little different here. I am guilty of ordering the spaghetti. The little 6 year old child in me whined and whined until I gave in and ordered it. 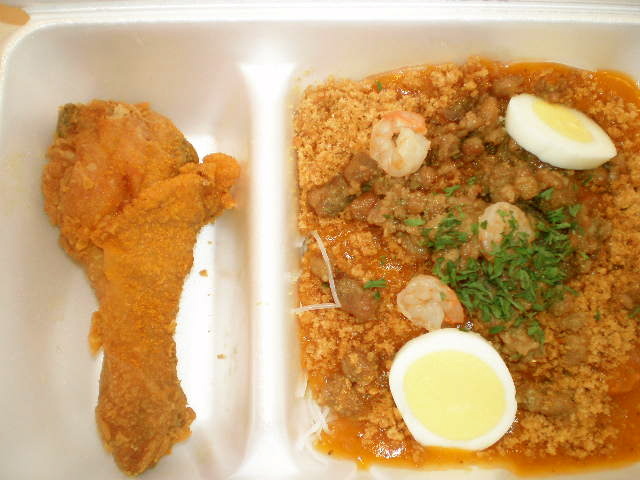 I’d recommend the palabok if you’d like to try something different; it’s quite tasty! We passed by a fruit stand on the way home from riding The Beast Speedboat ride. It’s a MUST for anyone who loves fast boats, funny people, and a great view of the city from the water. Another thing I love about this city. 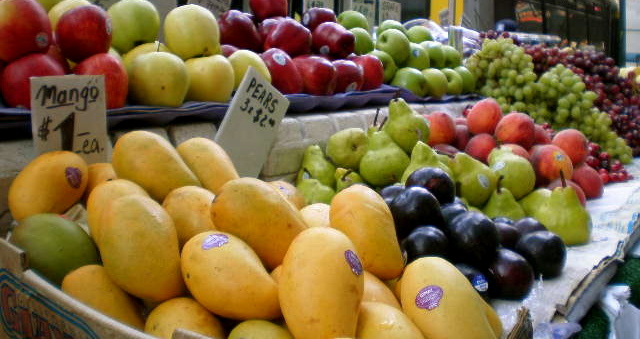 The abundance and convenience of amazing food is everywhere. 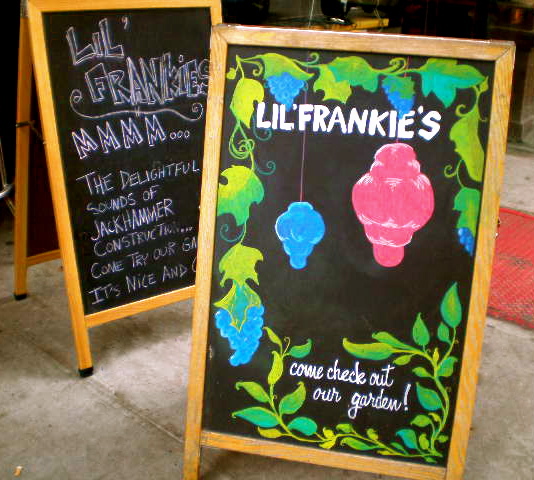 Speaking of amazing food, let me just end this part two of three with our dinner at Lil’ Frankie’s. This place came to us after a recommendation from birthday girl’s editor. Can I just say, the man knows good food. The chalkboard says it all.. MMMM. I ordered one of their homemade signature pizzas, which are all thin crusts, btw. This totally worked in my favor because I live for thin crust pizza! The Pizza Polpettine comes with baby meatballs, tomatoes, mozarella and sage. Yes, I realize that it’s parsley on top and not sage. I’ll give them the benefit of the doubt and believe they substituted it for sage because they ran out and thought I wouldn’t notice. But I did. And it tasted delicious anyway. I also recommend the whole roasted eggplant, and the seared salmon – both of which I tried and sadly, did not capture in time. You can’t go wrong with their pizzas. They are just melt in your mouth amazing. The fresh ingredients do make a difference. The ambiance is homey and comforting and the garden terrace is perfect for a romantic date. The service was pretty good for a crowd as large as ours (10+) and they indulged our birthday celebrant with a complimentary tiramisu (her fave!). Would I revisit? Absolutely. Mmm, Jolibee. We should open one up here. We’d be millionaires. Maybe even billionaires! Hehe. 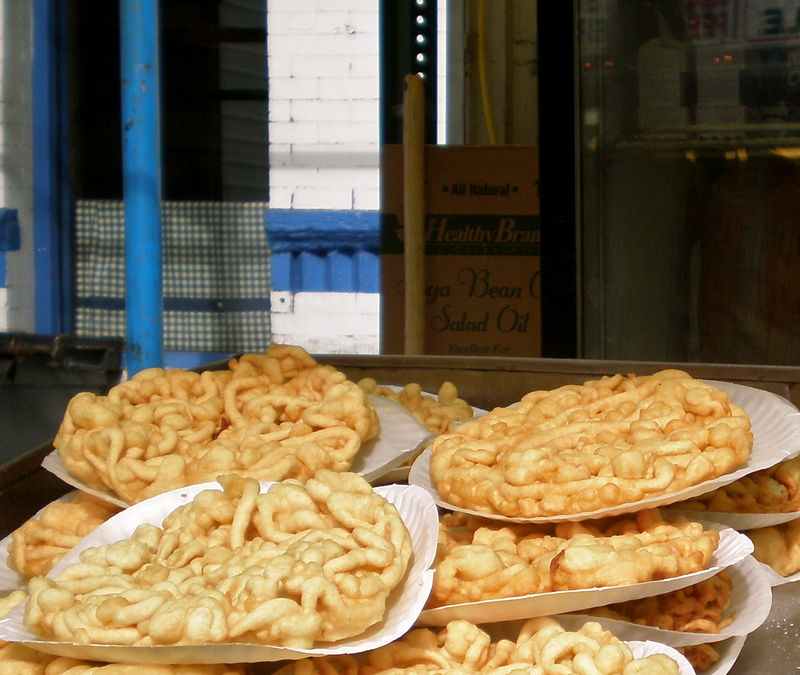 And holy moly, those funnel cakes look ah-ha-mazing! 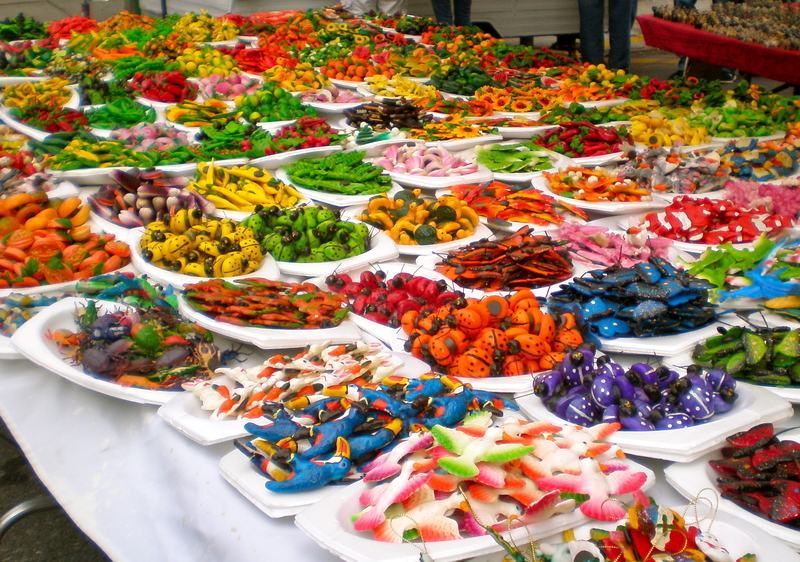 Those magnets actually look like peppers! I was excited for a second, haha. Your pictures from both NY1 and 2 look amazing! and this is before the camera upgrade, right? Thanks Justine =) Yes, these are pre-cam upgrade pics hahaha. I was going to say, can’t you tell?! We’re going to NY in July. I think you should consider coming with!